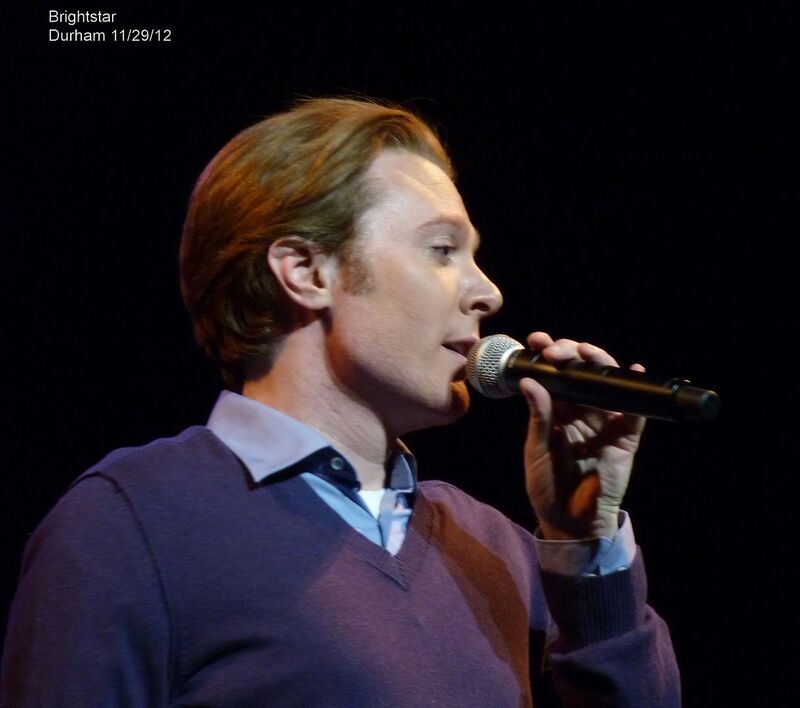 Clay Aiken – Family, Friends, and Fans! 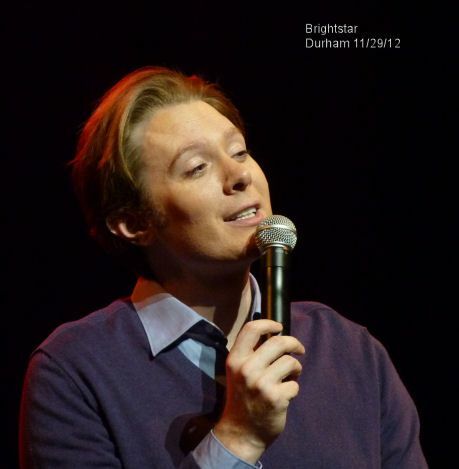 On November 29, 2012, Clay Aiken sang at the Durham Performing Arts Center in front of family, friends and fans. From all accounts it was an amazing concert. I asked some of my friends if I could share their comments about the concert here. I am taking bits from their beautiful reports! It must have been a magical night! Clay knocked the socks off of his audience in Durham last night. He rocked, he crooned, he prayed and then sang the most glorious power notes ever to rip the roof off the building. In my ten years of fandom, I have never heard him sing like this. I am so fortunate to be able to go to a few more concerts. There is absolutely no way he can top this performance unless he sings an opera performing all the roles. I honestly have never heard a concert where his voice was so perfect. I have listened and watched many videos from this tour ,but I had no idea how very good the show was. I loved everything about it. The audience listened with sheer amazement like they were witnessing an artist reach pure perfection. There wasn’t a boring moment, the pace was enjoyable, and I loved the stories. This concert rates up as one of his very best. I feel like I have been given a happy pill. What a night! I love how he recognized his fans and told how caring we are. I know he appreciates us…. What an amazing night! Clay was happy, relaxed, and as vocally perfect as I have ever heard him. Tonight was about The Voice. His voice was mellow, smooth, and rich. It was butter, it was honey. It was a warm hug, it was a soft caress, it was a soaring triumph. It was love, praise, and joy. During the soft, moving moments, the crowd was absolutely silent, entranced. You could have heard a pin drop. The concert was more than I could have asked for, yet it wasn’t nearly enough. I need to have that voice in my life forever. Thank you for all the beautiful words and pictures. I heard the concert online and it gave me chills. On Friday, it seemed that everywhere you looked there were Birthday Greetings for Clay online. I could never post them all, but here are a few. @clayaiken Happy Birthday, Clay!!! Hope you’re having a blast on your tour. And hope to see you VERY soon. Happy, healthy everything!! Wishing a very happy birthday to Season 2’s runner-up @clayaiken! 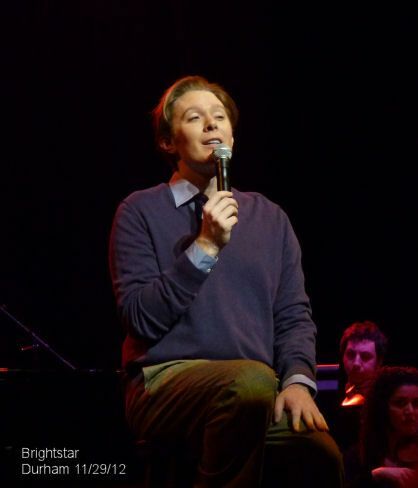 @DaveBlezard: Clay Aiken is also celebrating! He turns 34. It was almost 10 years ago that Clay was runner up on Season 2 of American Idol! I’m so impressed with how articulate and thoughtful he has been whether it’s discussing ex-gay reparative therapy on The Dr. Oz Showor LGBT equality on Face the Nation, Clay has shown that he is a force to be reckoned with. One of the very best Birthday greetings were found at Playbill. The really put together an exciting article with lots of videos. Be aware…you will love each video. “American Idol” runner-up Clay Aiken, who starred on Broadway in Monty Python’s Spamalot, celebrates his birthday Nov. 30. Playbill.com takes a look back at Aiken’s career with clips from the second season of “American Idol,” his performances of Broadway classics, television appearances and more. There are 13 videos!! Click on PLAYBILL for the link. The following are two videos from last nights concert. Enjoy! It looks pretty comfy to me!! Tomorrow, I will open up the Atlantic City Blog before the concert to share some great articles and mentions about the concert and Clay’s appearance at the Boardwalk Winter Sweet Festival. Please check back for up to date information! line up and light up for Clay!!!?? I hope so!! Best of all – he seems to be enjoying it! Thanks Musicfan for your wonderful post, love the photos and videos and all the great comments about Clay which he deserves, just love that guy xox. 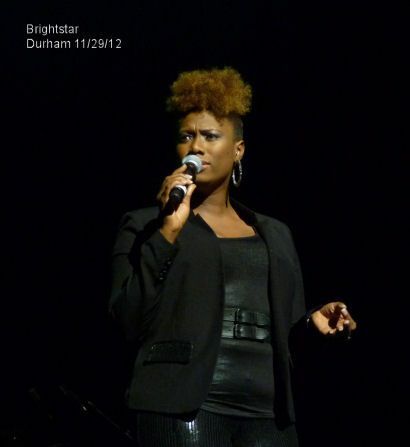 Thank you for the great reports on his show in Durham. Sounds like he did a spectacular job there. He seems to be getting great reports from all the venues that he is appearing in. I am a little biased..because, of course, I loved him the most at my concert on Nov.25 in Clearwater, Florida. He was just awesome. 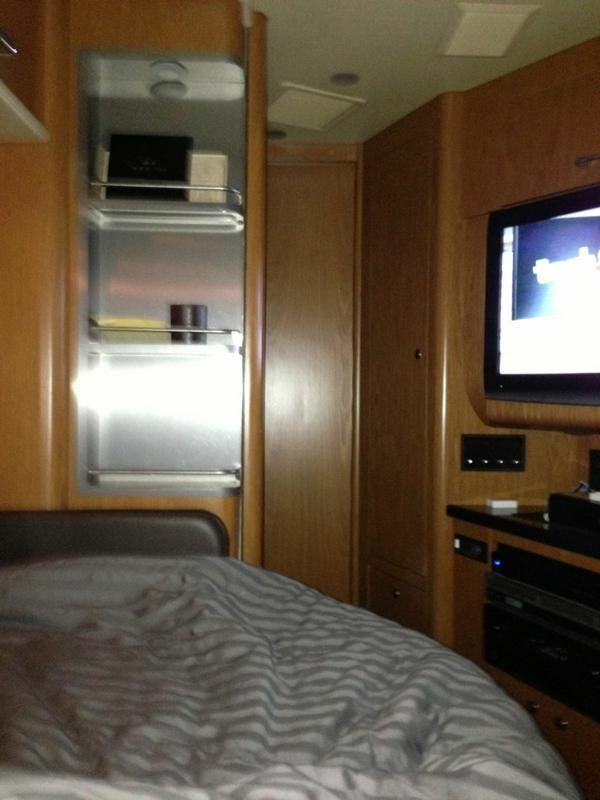 Enjoying this whole tour so much..keep up your good articles, I really enjoy them. This post is just crammed full of wonderful photos, videos and articles. It has taken me over an hour just to see it all. (And I should be decorating the house and tree instead.) I'm so happy for Clay that others in the entertainment world appreciate his talents (and not just his fans). Musicfan, I hope that you are surviving the rain storms in your part of the country. Error: Error validating access token: Session has expired on Tuesday, 21-Aug-18 16:13:01 PDT. The current time is Thursday, 25-Apr-19 18:17:05 PDT.